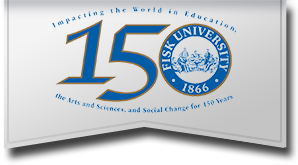 This form allows you to make a gift to Fisk University using your credit card or through a bank draft. Thank you for supporting Fisk University. All data collected is confidential and secured. If you would rather mail your gift, please see our printable form. Choose how you would like to direct your gift from the drop down menu next to "Designation". If the designation you are seeking is not listed, please click here to see a list of named funds. If this is a tribute gift please enter that information in Additional Information: Comments.